24 hour alarm response monitoring for home burglars for residential and commercial properties in Oxfordshire and Berkshire that hold guns, dangerous substances and explosives and have high value contents in their property or out buildings your insurance will stipulate you must have monitoring as part of your home security and commercial security measures. 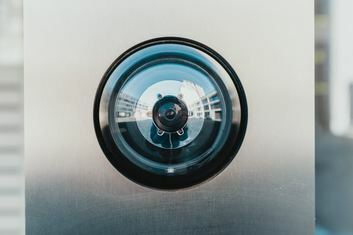 Our team working across Oxfordshire, Berkshire and parts of London will provide the latest technology for the property and integrate detectors and/or surveillance cameras into external properties to ensure a robust security system is linked directly to our security partners at Southern Monitoring. White Horse Security holds the highest level of security certification in order to provide SSAIB certificates to our customers on completion of their security, linking up to the monitoring station for 24 hour police protection for an armed police response should there be a forced entry. SSAIB is the acronym for Security Systems & Alarms Inspection Board, they are the governing body trusted to ensure all security professionals installing security systems into properties and providing monitoring services are properly police vetted, insured and meet annual inspection criteria. SSAIB are Board Members of the British Standards Technical Committee, who regulate security technology for the security industry ensuring private households and commercial properties aren't being mislead or deceived into believing a rogue security company are installing specialist camera or intruder equipment into their homes without the correct licensing. Please always check whoever you decide to put your trust in installing your home security, they must be able to provide you with the correct SSAIB certification to back up what they say. White Horse Fire and Security has received certification from SSAIB for installing both intruder alarms and CCTV for residential and commercial properties for 5 years, and as such can provide 24hr security monitoring to our residential and commercial customers. Smart technology has advanced so quickly in the security industry we can now provide all of our customers with a free smart phone or tablet app to monitor their home alarm system when out and about. There are some great features in that you can monitor from your phone, set and unset the system remotely which is a handy feature if you have left the property and forgotten to reset the alarm and the smart app can be downloaded to several phones for the whole family to have access to it if necessary. The smart technology is a great added feature for your wireless home burglar alarm and we don't charge extra for the facility, however there is an annual cost to access the cloud and features which we build into our annual maintenance package after the first year. Home Security for Oxfordshire, Berkshire, Buckingham and London. All our engineers have been taken through a 4 year electrical engineering apprenticeship and then specialised in the security industry once completed. Our engineers come with excellent electrical City & Guilds apprenticeship training foremost knowing and understanding the rigours of electrics and the hazards. Our team are then trained to install intruder alarms both hard-wired into the mains of the property and wireless burglar alarms, CCTV, door access controls, video entry systems, gate automation and can best advice on positioning of security features internally and externally to properties. White Horse Fire and Security cover a large area from our offices at Grove Technology Park Wantage, Oxfordshire including residential and commercial properties both big and small in Newbury, Reading, Goring and Pangbourne.